Singular Intimacies is the story of becoming a doctor by immersion at New York’s Bellevue Hospital, the oldest public hospital in the country. When Danielle Ofri first enters the doors as a medical student, she is immediately plunged into the teeming world of urban medicine. 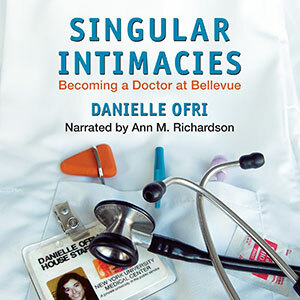 It is here that Dr. Ofri develops a profound instinct for healing and, above all, learns to navigate the tangled vulnerabilities of doctor and patient.